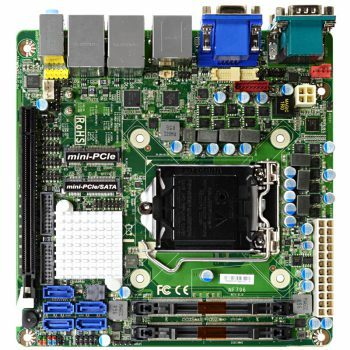 The JETWAY JNF796-Q370 is Mini-ITX form factor board adopts the Intel® 8th generation Core i7/i5/i3, Pentium and Celeron Processor. 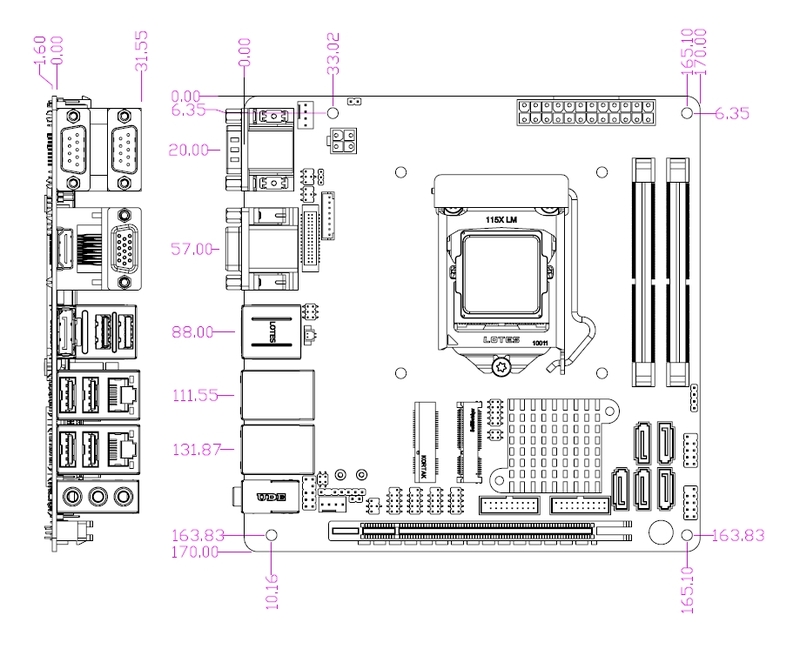 The board supports two SO-DIMM DDR4 2400/2666Mhz memory, up to 32GB. 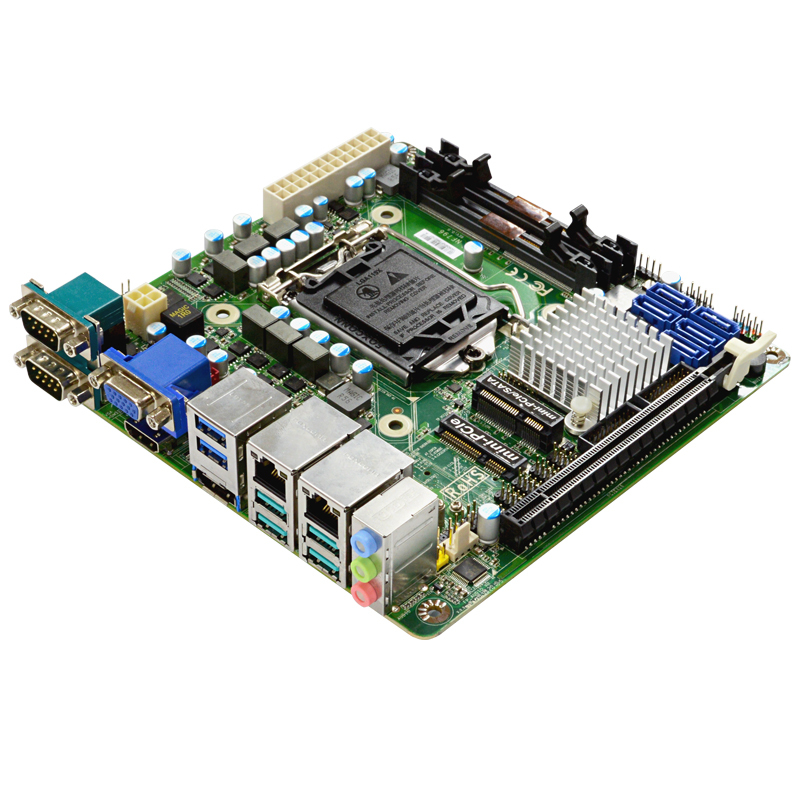 Featuring the integrated Intel® Gigabit Ethernet controller, the JNF796 offers two 10/100/1000Base-TX Ethernet devices for network transmission. 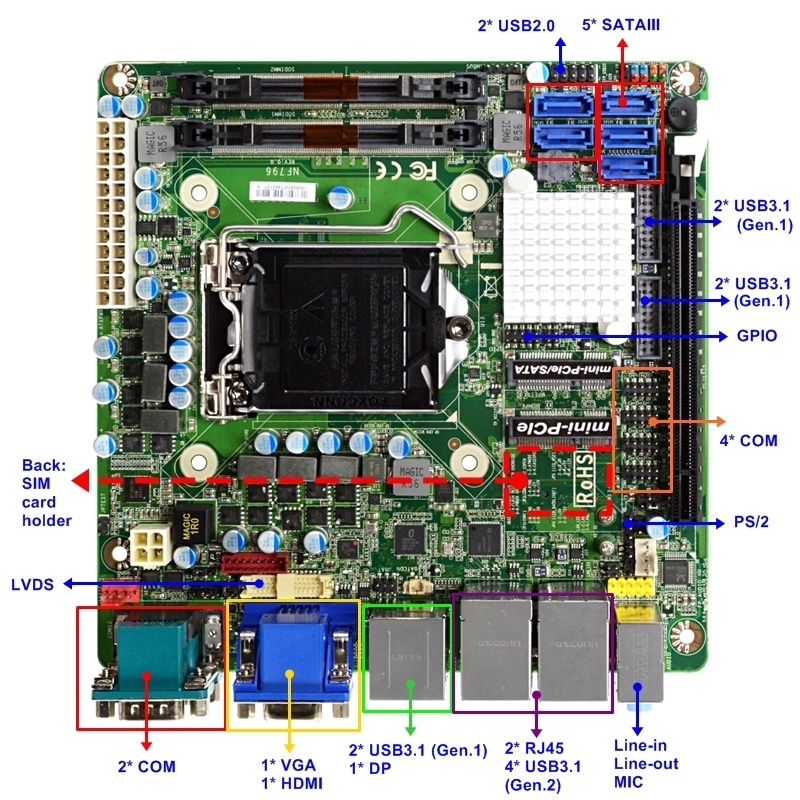 Five SATAIII (6Gb/s) interface and one mSATA offer storage devices. 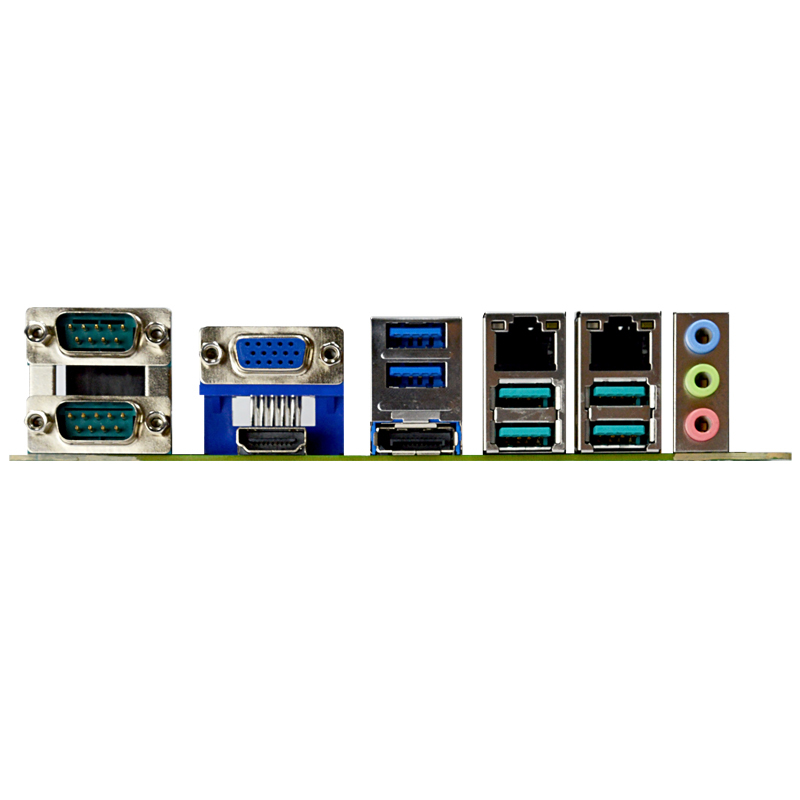 One Mini PCIe interface, four USB3.1 Gen.2 ports, six USB3.1 Gen.1 ports, two USB2.0 ports and six COM port provide versatile expansion. The PCIex16 slot can support Jetway riser card for different expansion. 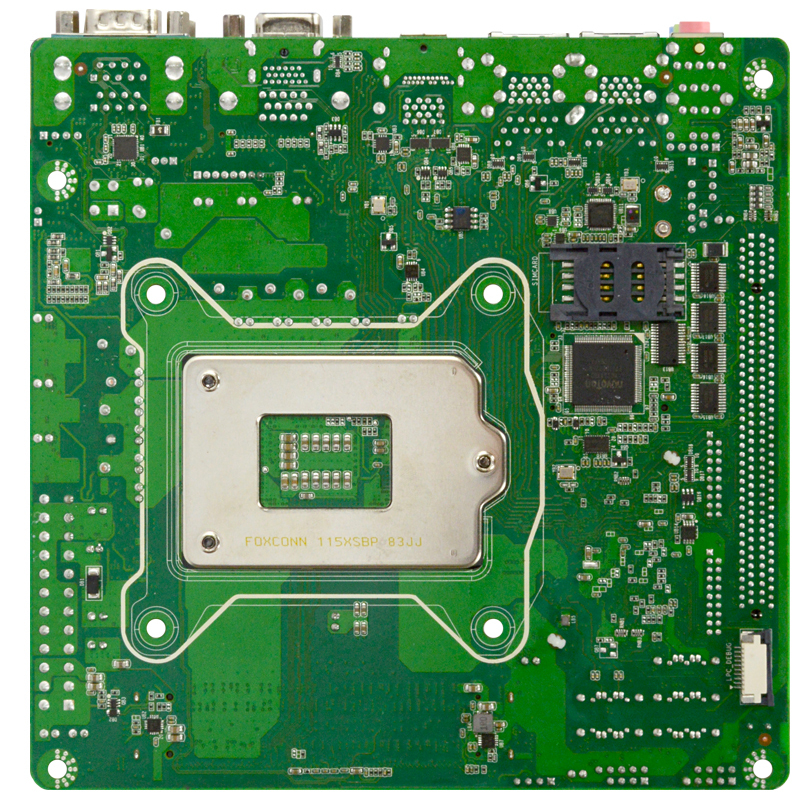 The JNF796 offers one HDMI1.4 port, one DP1.4 port, one VGA port and one 24-bits Dual CH LVDS which can support 3 independent displays. Because of the above features, JNF796 is suitable for Digital Signage, Industrial PCs, Factory Automation, Public Sector, Digital Security and Surveillance applications. Version A02: Update Microcode. Add DRAM Compatibility. PS2 KB/MS Default Disable.